Did you know your mails can be used for tracking your online activities? Subject to the email provider you use, details like the time at which you accessed the mail, which locations/ Urls you visited, etc. can be traced. Now when you know that your privacy is at stake, you would be worried and would like to know how it is done and how to stop it. Won’t you? So here’s all the information you need that will make you let you hide your digital footprints better. E mail trackers give out more information then you can ever imagine. It shares all your details with third party without you even knowing it. Customarily read receipts (e mail trackers) are mostly used by marketing companies. These read receipts are used to know users preferences to send same type of future emails. This helps companies to pitch the product and know its success ratio. The email trackers uses an unseen pixel which is fixed in the email to share information with the sender. Another way is by embedding images into the emails. In Outlook when we see an option which reads, “Read Receipts”, we enable it thinking that it will help to receive read report. Without even knowing how it will do that and what all information will be compromised. When you enable this option it starts tracking information like time, IP address, the name of the device, etc. An email when sent out with this option enabled is opened, the embedded object shares the additional information with the server from where it is created which is shared with the sender. This way all your personal information is shared with the third party. Gmail has its own settings and security features which interferes with automatic download of external images, it even scans the pictures and images received for any vulnerabilities. While performing this operation, if a sender or a message is found suspicious, Gmail seeks for user’s permission prior downloading. Enabling this feature stops images from getting downloading automatically. To enable it, go to Settings followed by General now select the radio button next to “Ask before displaying external images”. After you enable it no external images will be downloaded without your permission. 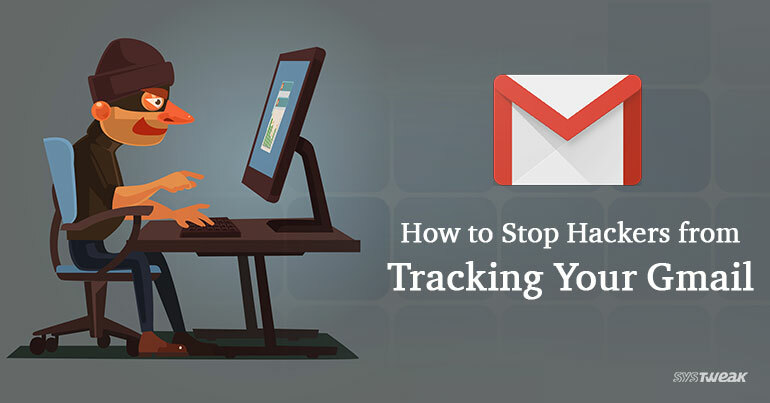 This gives you control to allow or disallow e mail tracking. If you are using Google Chrome you can use extensions to identify e mail trackers. There are various extensions in Chrome which will assist you in recognizing mail trackers. To name it, one of this type is known as the Ugly Email. It contains a script which identifies invisible 1×1 images or pixels. Once you use this extension, it shows a small eyeball icon next to the subject line of each mail which has a tracker embedded on it. If you are concerned about the privacy, please note Ugly Email doesn’t read your emails, nor saves or share your data. When tracker is identified, this smart extension wedges the trackers and allows you to open your emails without the fear of leaking your information. This app works flawlessly with Gmail and when you move your mouse cursor above the eyeball you can view the source of the tracker. The other popular trackers to name are: Yesware, MailChimp, SendGrid, Streak, Tinyletter. After knowing the fact that even our e mails are used for tracking, you must be thinking that it is an illegal activity. But remember it’s not unlawful. Email tracking is used for knowing the market before bringing any new product, or to study user’s behavior. E mail tracking is done to learn when to send out mails. However, it’s definitely user’s choice if he wants it or not. In this era where privacy cannot be compromised at any cost, knowing certain tips that help you maintain it, seems to be the most accurate solution. What Is Wake-on-LAN, And How To Enable It?